Many fitness programs and movement systems are useful, and provide a lot of benefits. Some are even functional. But very few are practical. This is a major differentiator between MovNat and other fitness methods because all natural movement training is inherently practical, and thus, delivers superior results. But what do we mean by practical? Practical movements could be described as being directly useful to situations in life that require a physical response or performance. For example, a jumping jack may be a useful exercise for health and fitness purposes, but it serves no practical purpose in daily life. On the other hand, jumping up or down from an elevated surface is a practical movement that can serve a real-life purpose. Unfortunately, the general public has been led to believe that “real” exercise must be compartmentalized. For example, doing “strength training” and then “cardio” followed by “stretching.” Furthermore, we’ve been told that exercise should target specific muscles, and work in isolation, regardless of their real-life applications (or lack thereof). The problem is that the body is not meant to work in isolation. Rather, it is designed to work as a whole to perform a broad array of movement skills (e.g. running, jumping, climbing, lifting, carrying, swimming, etc.) that are utterly necessary for daily life here on Earth. So, real fitness is functional. But you must understand “functional” as a form of utility or practical capability, which is a critical distinction. Of course, we need a functional body in order to perform practical actions. But the problem with functional fitness is that it is mostly focused on theories, which leads to performing drills that have little practical application. When you focus on practical outcomes – for example, the various ways to clear a particular obstacle or to manipulate a particular object – you are going to move and perform in the most functional way automatically. This idea is the impetus for many “aha” moments when people finally realize that not all functional movements are practical, but that all practical movements are functional. Plus, training for practical goals means you’ve got the most direct and objective way to assess if your physical action is effective or not. The fundamental purpose of Natural Movement lies not just in the vital ability to effectively respond to the challenging circumstances of the real world and stay safe. It also ensures we can handle the day to day needs. 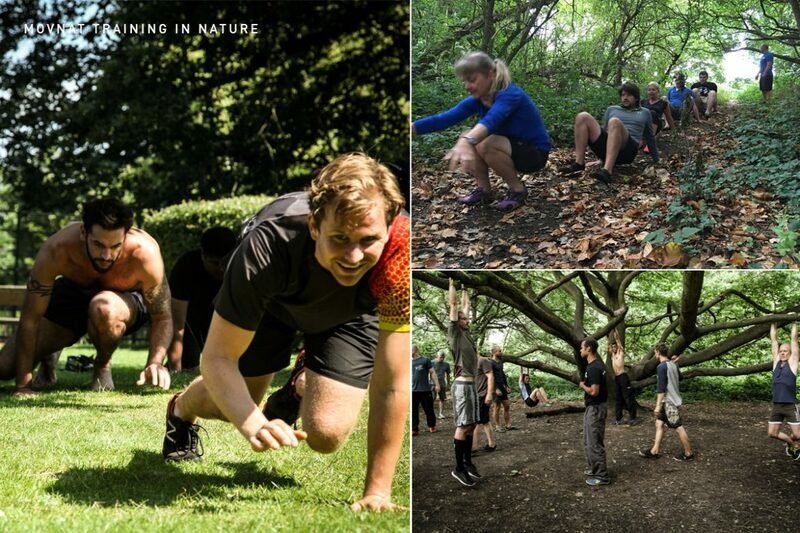 So, the results of natural movement training are not just cosmetic or physiological. They are tangible. 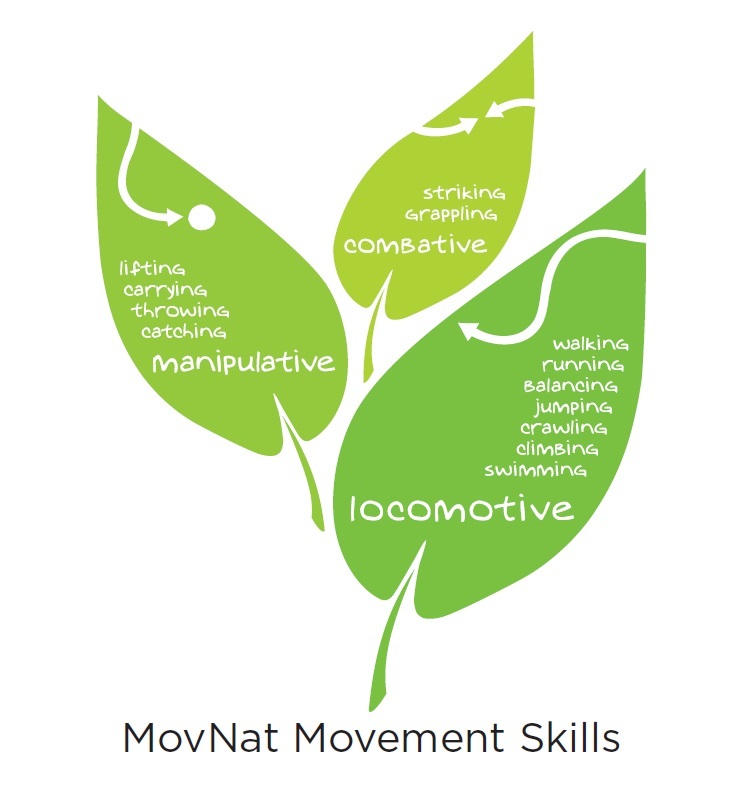 Natural Movement is about real-world capability, which itself results from both movement competency and physical capacity. In that sense, Natural Movement it is not just effectively taking place for no obvious reason, for mere recreation, or for the sake of “freedom of movement.” It is practical. Originally, squatting was not done for mobility, but to cook, rest, work, poop, or during childbirth. Lifting and carrying weren’t about strength, but to move children around, bring fresh game or water to camp, build a shelter, and so on. Jumping was not done for plyometrics and stamina and balancing was not done for “balance”, but to clear obstacles on the way. Crawling was not done to imitate animal species, but to move like humans have to move when they stalk, hide, or find themselves in confined environments. Practicality is the main motive for Natural Movement. Even in history from the ancient civilizations – Assyrians, Egyptians, Greeks, Romans – to the Medieval times to during the Industrial revolution, physical training was based on Natural Movement. The goal was to form physically capable soldiers who were able to defend the land or conquer more. Beyond the obvious weaponry practice, their training heavily relied on walking, running, jumping, climbing, lifting and carrying, throwing or catching, bare hand close quarter combat, which are all movement skills necessary to fight wars. Furthermore, the original Olympic Games and the diverse physical education methods that emerged in Europe in the 19th century all involved the exact same skills. So, an old school gym is not a bodybuilding gym from the 80’s filled with vintage barbells, but one from the 19th or early 20th century filled with horizontal bars, ropes, poles, maces, obstacles and other apparatuses designed to train practical physical competency through jumping, running, balancing, climbing, combat or manipulating objects. They were, in fact, practicing Natural Movement even though they never called it that. They didn’t know kinesiology. They didn’t know exercise science. And they didn’t know “better”. It was all about practicality, and being ready for practical physical performance, which necessitated the training of practical movements. They understood the practical principle intuitively because they understood the vital principle: any practical physical ability can prove to be vital and save lives. This is ultimately how the practicality of any movement can be assessed or proven. This separates a handstand from a jumping or lifting movement. The former is useful, but its usefulness is indirect. Whereas, the latter are beneficial in the most direct, tangible way possible. It is time to answer the question that truly matters: what is the practical goal of this physical action and effort? A movement-based approach to exercise is great, but we could say that bodybuilding utilizes movements as well. Even in the world of fitness, movement is seen as being the byproduct of physical conditioning rather than the other way around. The practical natural movements that are occasionally employed (e.g. running), are not employed for the sake of developing, restoring or maintaining the practical ability which is running, but for the byproducts that running generates, such as weight-loss, cardio-conditioning, or “endorphins.” In this case, movement itself is not the end goal, it is the means; which I agree with, but not for the same reason. The practical actions to be performed and the practical goals to be reached are what justify movement, not merely the byproducts that movement provides. Except in rare cases, the current fitness industry, by still predominantly emphasizing body appearance rather than practicality and real-world capability, falls short of solving the issue as well. It is as if the commercial fitness industry wants to maintain everyone in a state of physical ineptness by promoting physical conditioning programs with near zero practical applications, producing nothing else but the facade of fitness rather than the foundation of physical capability. Exercise is the mere replacement of a biological necessity for physical activity that has ceased to exist in our culture. Practicality itself is absent from most fitness programs. This is not to say that they are not effective, which is a very different thing. Effectiveness has to do with reaching particular objectives, but not necessarily the objective of developing practical physical capability. But the tragedy of conventional fitness is to see people led to pursue goals that will never make them actually fit from an evolutionary and practical standpoint – even if all the goals were achieved. Few people actually want to be fit. Most just want to look fit. They want the image, not the function. The notion of “functional exercise” was born as a result of trying to steer the industry back towards more realistic practices and goals, with mixed results. 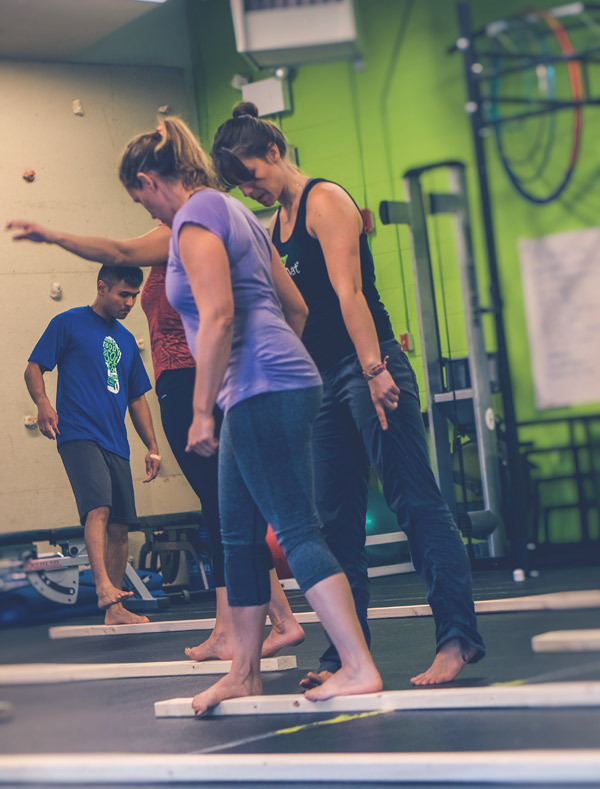 For most people, stepping into any fitness program is already a big step out of their comfort zone, so movement-based approaches to exercise where one mostly stand on their feet rather than sit and where one performs full-body movements rather than segmental ones just feels revolutionary. Despite being a commendable step in the healthy movement behavior direction, the conceptual notion of “function” has superseded practicality. Now, the extraordinarily rich scope of natural human movement is reduced to a few “functional” movement patterns (squat, lunge, pull, push, twist, bend and so on). Plus, performing such movement is also divorced from the environmental or situational demands (i.e. 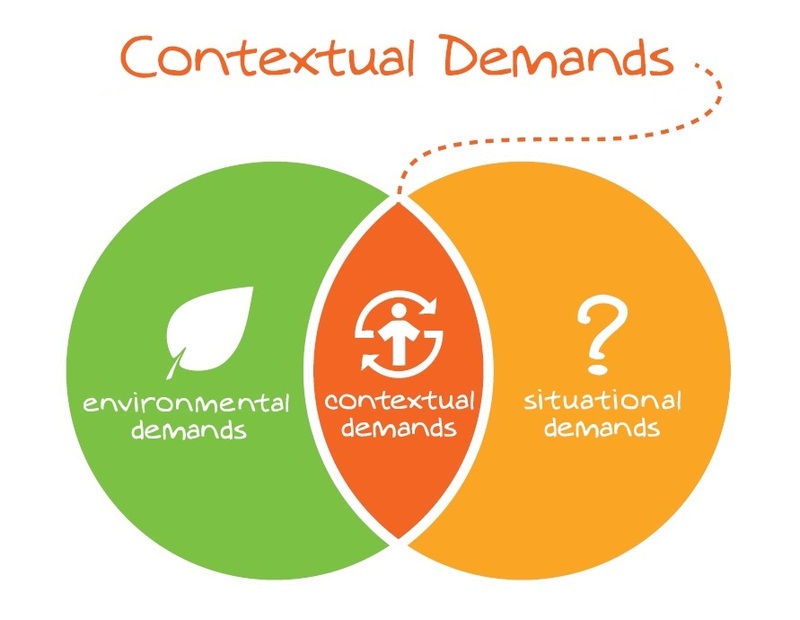 contextual demands) where they normally take place and which actually enable competency and adaptability to occur. Functional exercise TRIES to mimic and replicate real-life movement patterns. Natural movements ARE real-life movement patterns. If you have to think of what real-life movement or situation your exercise could apply to, it means that its practicality is unclear. If the practicality of your exercise isn’t clear, it is very likely that it is because it is not even practical in the first place. But once you’ve realized both the breadth and specificity of contextual demands, and the necessity of adaptability and applicability, your approach to fitness is changed for ever. A pragmatic approach to physical exercise starts with a context-oriented mindset. It aims at practical goals, and the relevance of the movement to such goals. This is Natural Movement: having your body do anything you want and/or that could be necessary in a wide range of environments or situations that require a physical response. It doesn’t necessarily demand that you must always train in real environments or situations, but that you train in sufficiently realistic ones to develop practical mind-body capability. An important point is this principle is not in any way dismissive of “unpractical” movement (i.e movement practice that isn’t directly practical). Fortunately, not all the movement possibilities of the human body are practical, and we are not restricted physically or mentally to practicality in movement! The exploration and practice or non-practical movement types can be quite enjoyable and expand our movement practice horizon very beneficially. The point is: one should prioritize the development of practical skills, which is our vital foundation. So, if you can balance better on your hands than on your feet, you are placing the cart before the horse. And from an evolutionary and vital principle perspective, you have your priorities wrong. The ability to perform impressive physical tricks or a beautiful choreography is part of the amazing human movement potential, but if you can’t run fast or long, can’t jump or climb, can’t lift and carry heavy, or can’t fight to defend yourself, you have massive deficiencies in your real-world physical capability. The first step in becoming more capable is to decide that you are. The next step is reacquiring the most ancient movement skills, not for a romantic reasons, but for their practical value. I’m talking about practical strength, practical capability. 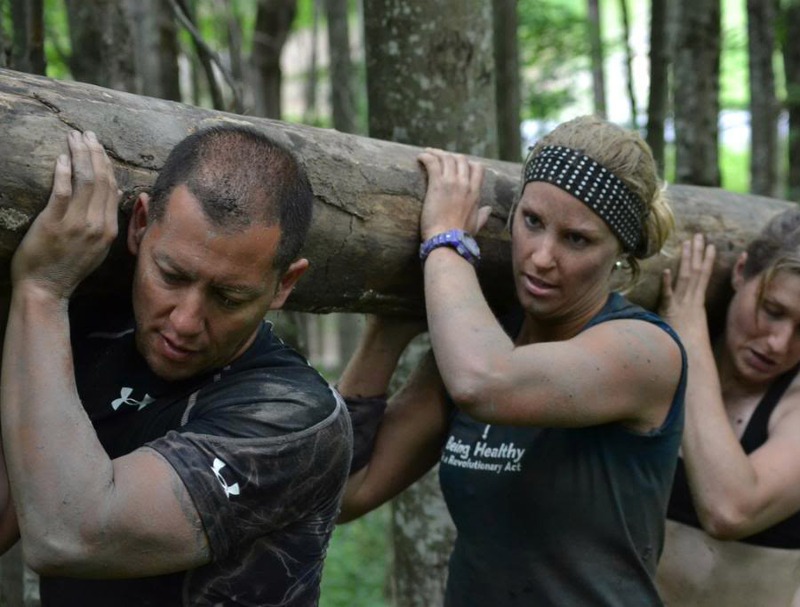 Knowing that your goal is to clear that obstacle or carry that person over a distance is a powerful source of motivation. You, personally, could need to physically respond to an urgent need at anytime. Are you prepared, ready? Are you physically helpful, or helpless? Physical empowerment is not about physically prevailing over others, but to be strong to never be helpless, and to always be potentially helpful to others. False physical capability is the belief that you would be able to perform any physical task including those you’ve never experienced in the first place. With Natural Movement, you can experience many diverse movements, efforts, environments and situations in a way that is progressive. You can actually acquire a realistic knowledge of your ability, not an imagined one. Trust and belief in yourself come through practice….of the practical! You don’t build a body just by growing the size of its muscles the same way you don’t build a human being just by building their body. There are many ways to be helpful to others in practical ways such as teaching or encouraging others and that do not involve physicality. Yet possessing Natural Movement skills is a great start. and it is a tool that is available anytime and anywhere, that doesn’t take any space, but which you can’t buy. 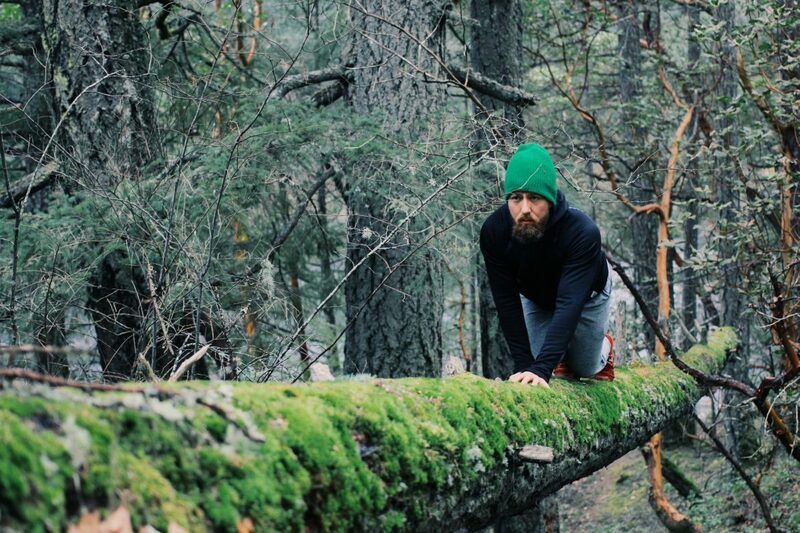 The benefits of a practical approach to physical exercise expand beyond the training itself. 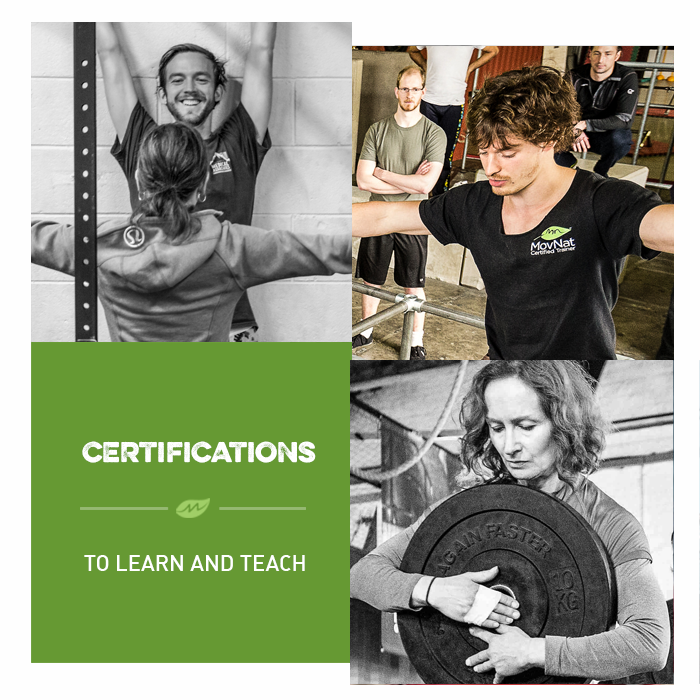 You will love the serene self-esteem and self-confidence that having acquired real-world movement and physical competency will bring to your life. If looking fit can boost your self-confidence, think of what having actual real-world physical capability could do to it? Self-entitled people expect everything from others. Self-empowered people expect everything mostly from themselves. Ultimately, we are not dealing with a physically strong versus weak issue, and not just with a physically adept versus inept issue, but with a self-limited versus self-actualized issue. Forming yourself into a physically capable human being to the greatest extent you can, and by extension into a mentally and spiritually thriving individual at the highest level you can, is not just a lifestyle option, it is a duty to yourself, your family, and your community. This is the practical principle. Reclaim your power for yourself and others, because if you can’t empower yourself, who will? be sold through this website ? I would rather buy through the original source rather than support Amazon and Co.